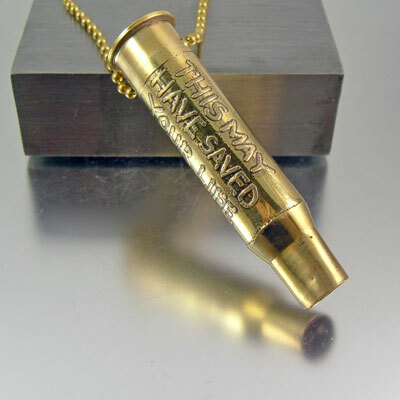 The 7.62�54 is the oldest cartridge still in regular combat service use and has exceeded 120 years in the service mark. This caliber is mainly used in sniper rifles, machine guns like the PKM, and for a modern hunting bullet for big game. However, it is a military caliber. 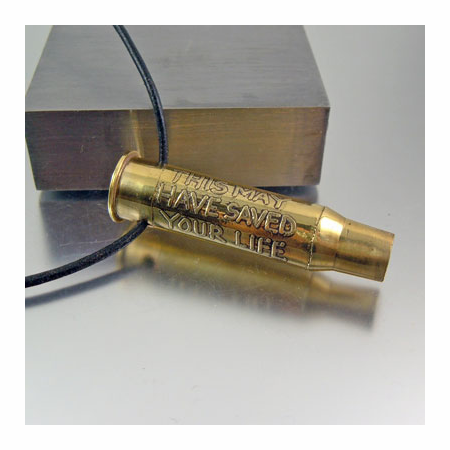 This caliber of bullet may have been used by our military forces to keep you safe, alive, and protected. The casing has kept in its original condition, some rifling marks or dents may be present. 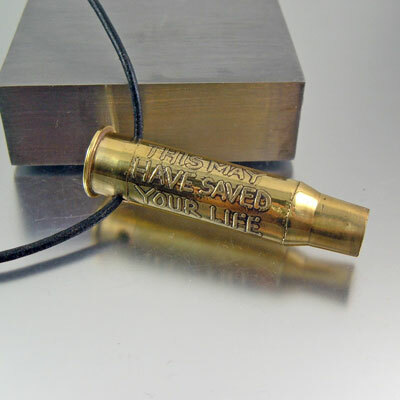 Inscription says "This May Have Saved Your Life"
This is an original concept design made by artist Julie Teeples. The image, idea and concept are intellectual property and are protected by copyright law.